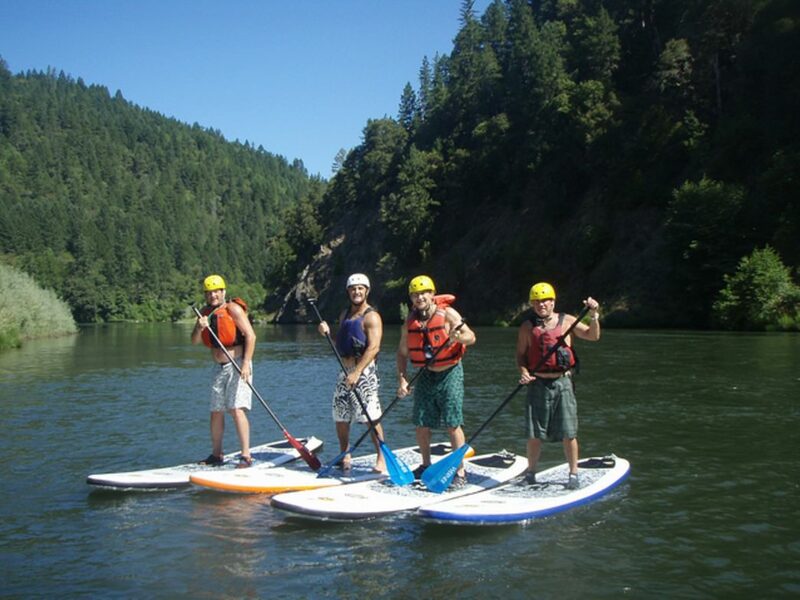 No longer seen as a solely beach-centric pastime, stand-up paddleboarding (SUP) has taken off in the Jackson area, especially during the summer. 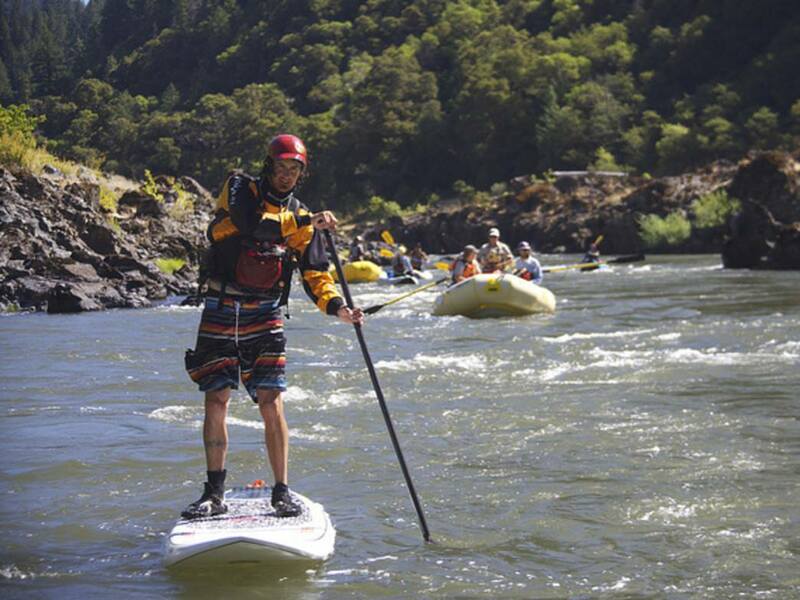 Most SUPers start out on calm local lakes, and after mastering the basic skills, many then transition to local rivers, where they can mix it up with rapids and currents. Before you head out, be sure you have the skills, experience, and safety equipment (including a life jacket and helmet). 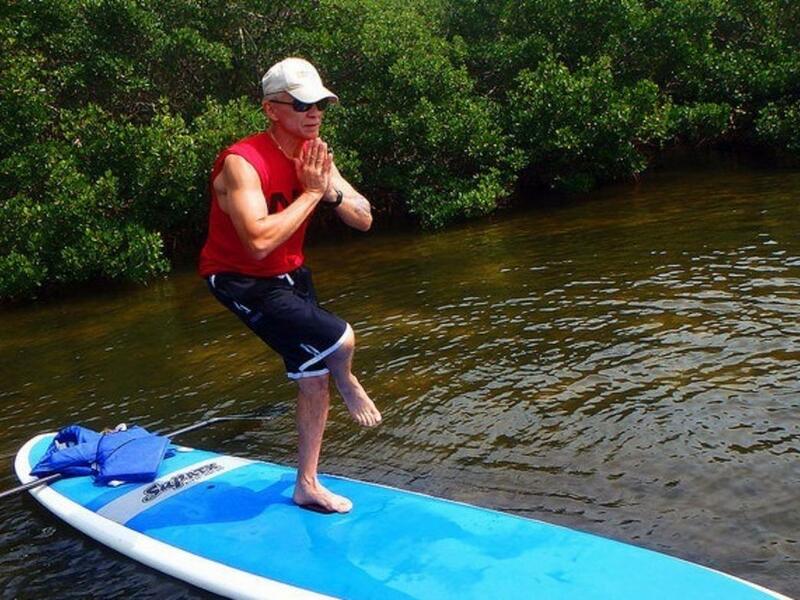 And if you're just getting your feet, ahem, wet with the sport, take a cue from the pros with a lesson or two. Here, four great places to stand-up paddleboard in Jackson, whether it's your first time holding a paddle or you're an old pro. Whether you're looking to get out on a SUP for the first time or hone your wave-carving skills, consider taking a lesson. Jackson Hole Kayak offers private lessons and also partners with Teton County Parks and Recreation to offer a variety of group lake and river classes. Enjoy learning the basics and fine-tuning your skills out at Slide Lake (the location for many classes) or out on other local waterways. To start getting the feel of the board and your balance, head up to String Lake in Grand Teton National Park. This is one of the warmest lakes in the Jackson area, and it's a great place to start your SUPing adventure. Launch from the shores and paddle beneath the peaks, soaking in the views. If you're looking for more of an adventure, paddle north across the lake, then portage your SUP over to Leigh Lake, the windier and more challenging cousin of String Lake. It's also colder than String Lake, so be prepared for a bracing experience if you take a dunk. 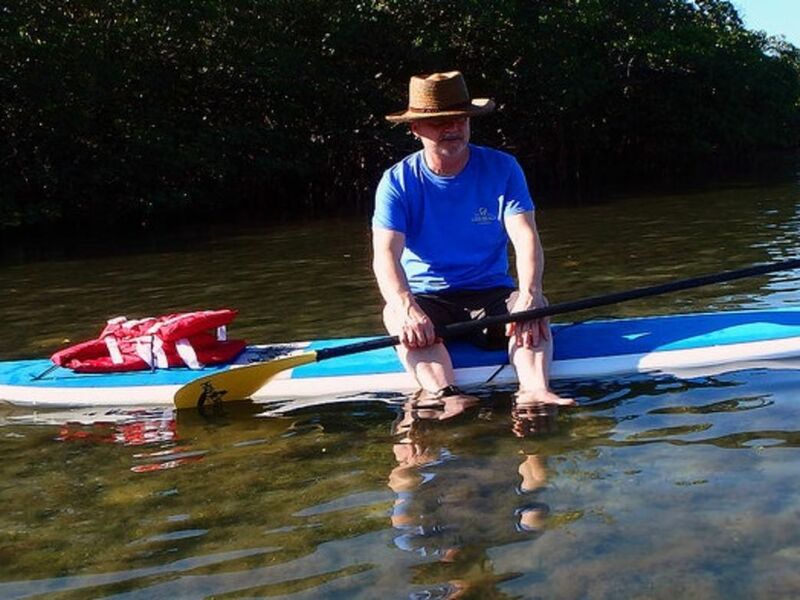 If you're bringing a SUP into the park, you'll need to purchase a permit for your watercraft. Hop up to Grand Teton National Park for this five-mile Class I river float. Put in by the Jackson Lake Dam and take out at the Pacific Creek Boat Ramp. “This stretch is very scenic and mellow,” Souter says. “This moving water stretch has some eddies to catch and small riffles to go through, but is most spectacular for its scenery and potential wildlife viewing.” Stouter notes that you can extend your trip by heading into the oxbow bend for more scenery and a chance at spotting some wildlife (it's always a good idea to have bear spray handy). This section is normally Class I or Class II, but when the river's running high in the canyon (above 10,000 cfs or so), this section turns into Class II and Class III with strong eddy lines and larger waves. This eight-mile route in the Snake River Canyon, which has some of the best year-round, big-volume SUPing in the country, offers experts an excellent place to play. When water levels are below 13,000 cfs, this stretch is Class III, but when the water gets high, this becomes a powerful Class IV run, according to Souter. “SUPers should be successfully catching every eddy and surfing every wave on South Park to Astoria before moving to the Snake River Canyon,” he cautions. Two features to keep an eye out for: Haircut Rock and lower flows, and the Lunch Counter rapid at high flows.